Mount Rushmore from My Perspective! Now, I know that it is technically outside of Keystone, SD but for most of the country Rapid City is the more recognizable name. I’m thinking after this present Geico commercial I’ll have more people commenting when I mention Mount Rushmore. Have you seen the commercial? The gecko is walking along talking when all of a sudden he comes out on a ledge overlooking beautiful mountain scenery. The first time I saw it I thought, that looks like home, just as the camera panned around showing the gecko standing in George Washington’s eye! Then he says, “Do you think I could see Mount Rushmore from here?” I like the commercial, admittedly because it reminds me of home. I love Mount Rushmore. I don’t remember the first time I ever saw it, but it is my opinion that it is the most amazing National Monument I’ve ever seen. The size, the natural beauty, the work involved, and did I mention the size? I try to go at least once a year but sometimes it is longer. It never fails to take my breath away. I especially love going for the lighting ceremony in the evening. Sitting there among people from all over the world while hearing again the history of the mountain always inspires me! When I talk about Mount Rushmore I encourage people to go visit. One co-worker in Florida told me that she had heard that Mount Rushmore was falling apart so she didn’t go! I assured her that it was still intact and would be for, well. . . for a long, long time! I wish every American could see Mount Rushmore at least once. Of course that isn’t possible, and none of us will ever see it from the perspective of the gecko! So, as you can imagine, when I decided to set my latest book in Rapid City it had to have a connection to Mount Rushmore. 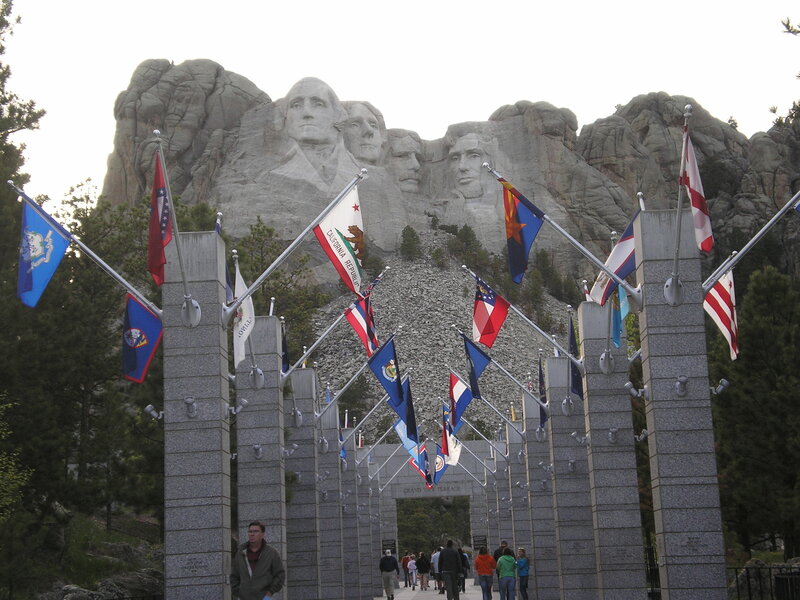 Maybe you can’t get to Mount Rushmore, but you can get a little flavor of Rapid City and learn more about the history of the carving of the mountain by reading the latest Double Cousins Mystery, The Double Cousins and the Mystery of the Rushmore Treasure. Maybe, just maybe it will even inspire a family road trip!